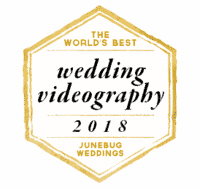 Award-Winning Wedding Videographer. Creative. Unobtrusive. Passionate. With over a decade of filming experience under my belt, it’s fair to say I genuinely love what I do.